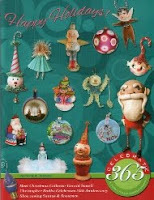 Happy Holidays: I have been away from my blog but look at what I am working on! I have been away from my blog but look at what I am working on! I have some very large vintage Italian metal frames. The only rectangular frame was used to create "The Magic Shop". The other three oval frames have been sitting in my studio with the sides and back attached, each ready to house the next creation. 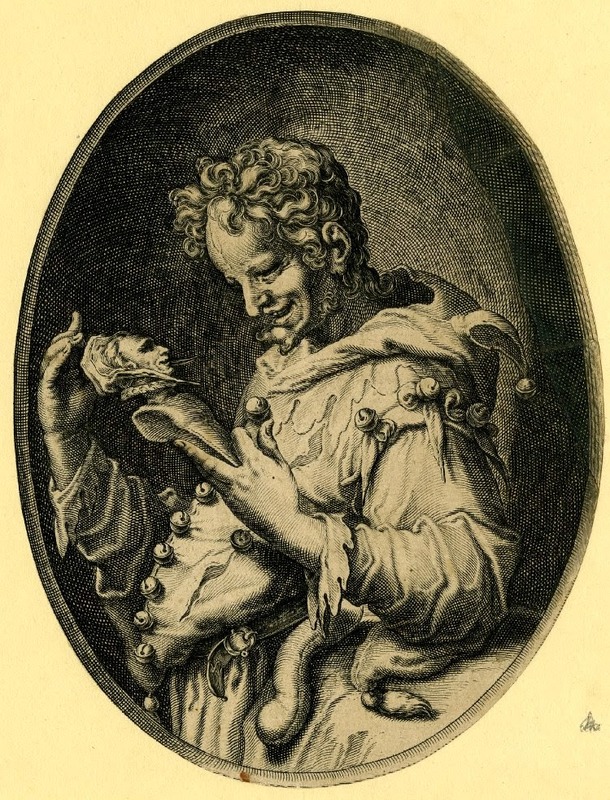 This antique engraving as well as some other examples posted here have been the inspiration for the shadow boxes. I like the idea of a 3D portrait that spills out of the frame. Last October I did a blog post about fireworks and Hallowe'en. Growing up in Victoria, B.C. on the West Coast of Canada, fireworks were Hallowe'en, as well as trick or treating. 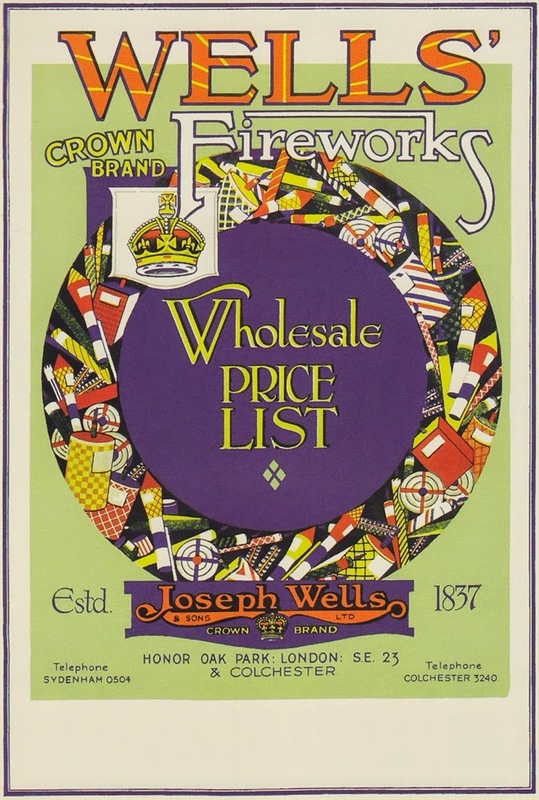 I then followed it with a review about Mark Flemings wonderful book "Firework Art", and saw the above advertisement for Well's fireworks. A wreath of fireworks around the outside of the frame would be wonderful. The interior would house the founder of the fireworks company, to be called the "Oh My Stars Fireworks Manufacturing Company". Many years ago I created some fireworks for a Hallowe'en window. I was so pleased with the end product that I kept them. They have been used in displays in the last few years; I have also used them at home mixed in with my vintage Hallowe'en items. These fireworks were the inspiration for the smaller versions. Mark Fleming's book "Firework Art" was also invaluable. My wife, Trish, went to Toronto for 5 weeks to help our daughter before and after she had their second child, a baby boy. I moved all of the materials to make the fireworks down to the dining room table. I had figured that this would be a relatively quick project, it wasn't, but it was certainly a lot of fun, sometimes a little tedious but fun none the less. Three different sizes of tubes were made from paper, some would be used for a Roman candle style of firework and some would be cut to smaller lengths to create other styles of firework such as pinwheels. My stash of cardboard tubes and the smaller cylinders that I had made were turned into fancy fireworks. Cones of various sizes became fountains. Card was used to make box shaped fireworks. Hand marbled papers, vintage wallpapers, vintage wrapping papers, antique paper tapes, hand-painted papers, as well as contemporary Japanese papers were used to cover the outsides of the fireworks. I did not want to create labels for them with names but suggest an idea as to the effects that each firework would produce. A small sample of some finished fireworks; pinwheels, sky rockets, Roman candles and fountains. These firecrackers took quite a while to build. Once I started to build them I decided to make two other sizes, each size was a different colour of patterned paper. In the picture below you can see the finished hank. Creating the hank of firecrackers was a feat in itself. As I wrapped the firecracker wicks together to create the hank they would start to unravel as it got longer. The same thing happened with the second different wrapping attempt. The third time was much better but I did decide to use glue to make certain that the little darling would not try and spite me again! Here are the finished fireworks. I have made, I hope, more than I will need as this will allow me to pick and choose shapes and colours. I want a very full wreath of fireworks around the frame, after all this is advertising the "Oh My Stars Fireworks Manufacturing Company" located on the outskirts of Jollity Village. A collector friend saw the fireworks and wants buy some for her Hallowe'en collection, so any unused fireworks may find a home with her. 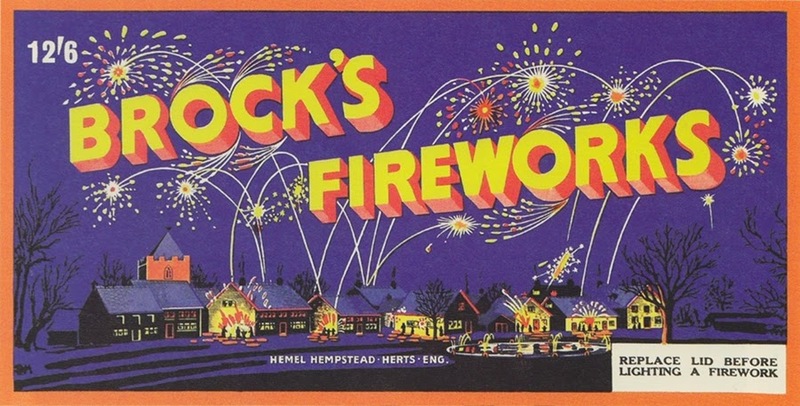 And just in case you weren't aware that I LOVE fireworks and the old graphics here is one last blog post to have a look at.